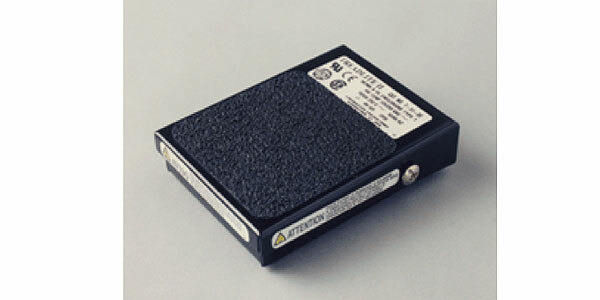 The FS-1 is a rugged all metal assembly with both normally open and normally closed contacts available. Designed for the harsh environments of industrial machine control it can take any punishment the customer can dish out. The black painted exterior includes a rubber bottom pad and footpad to eliminate skidding. The assembly includes the Foot Switch, a 15 foot rubber jacked cord, a locking Wall Jack, and white Nylon Single Gang Cover Plate. All connections are pre-wired and available on wire pigtails for your field connection. Typical applications include Clean Room Intercom Call button where the professional staff is scrubbed and does not want to touch a conventional wall button or Control Room where hands are busy and feet are used for Push to Talk. Because both the normally open and normally closed contacts are made available the functional operation does not require opening the switch or rewiring to adapt to the functional requirement. Metal Enclosure Weight: 7 oz.